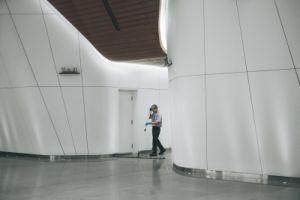 The European Commission's DG Environment has released new Green Public Procurement (GPP) criteria for indoor cleaning services, which aim to make it easier for public authorities to purchase cleaning goods and services with reduced environmental impacts. By focusing on cleaning services, the new EU GPP Criteria recognise that the key life cycle impacts of cleaning services relate to the energy consumed in providing the service, and the frequency and quality of the service, in addition to the chemical and production impacts linked to cleaning products. The criteria are designed to be easily integrated in part or fully into any public authority's tender documents with minimal editing, and are closely aligned to the requirements of the EU Ecolabel, therefore making verification easier for procurers. A webinar introducing the new criteria will be held on the 18 December 14.00 - 15.30. To register, visit the ICLEI registration page.